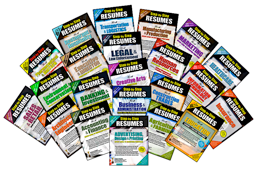 DesignerResumes.com is a highly credentialed resume and career management firm that develops interview-generating resumes for job candidates. More than two decades of compelling writing and design experience goes into each high-end resume. With a resume that commands attention and gets interviews, you can enter or re-enter the job market, make a career change, or promote your career advancement. As a Certified Resume Writer and Career Coach, Personal Branding Strategist and pioneer, published author, and convention speaker, Evelyn Salvador is a career management thought leader and industry expert. Her expertise covers all career management disciplines, including resume writing, personal branding, social networking, online identity building, web portfolios, career coaching, and more. DesignerResumes.com employs marketing and advertising strategies to catch and hold your prospective employer’s attention. The unique combination of expert writing, personal branding, and creative design makes us one of the global leaders in personally branded resumes. Resumes and cover letters are expertly written and finitely edited. With all these elements working together, our clients' resumes offer a high return on your investment. We've been told recruiters have selected our clients’ resumes out of responses in the thousands and kept going back to read them again and again. As one of the leading resume writers in the world, Evelyn is in the process of writing step-by-step resume books for every profession. Visit StepByStepResumes.com for information. COMPELLING COPY. Every word is weighed in determining the impact of how it will be received in the minds of human resource professionals. Evelyn writes highly achievement-based resumes and targets them towards your profession. No resume leaves the office without each word being weighed to provide the most impact. PROFESSIONAL GRAPHIC DESIGN. From the global leader in resume and web portfolio design, Evelyn’s professionally designed resumes compel hiring managers to read them over others and ultimately call clients for interviews significantly more often than their peers. PERSONAL BRANDING. As a pioneer of Personal Branding (since 1990), Evelyn’s resumes and cover letters identify and define your personal brand and include all branding components: your assets / features, benefits, competitive edge, value proposition, and return on investment to your prospective employers along with your matching achievements. TARGETED & ACHIEVEMENT-BASED. All resumes are targeted to your specific audience with a goal of hiring managers being able to visualize you performing the exact position for which you seek in their company…in an exemplary fashion. Since employers seek to fill job openings with applicants who come as close as possible to the job description, that’s what Evelyn does. EMPOWERMENT. Clients more often than not discover hidden achievements and abilities they didn’t realize they had. The resume and career coaching process help prepare you for the interview and increase your confidence level to land the job you want. HIGH RETURN ON INVESTMENT. What Evelyn is most pleased about and proud of is that many of her clients receive job offers much quicker and at a higher salary than they anticipated, providing you with a high ROI. CONVENIENCE. Your resume process can be accomplished by completing and emailing the Order Form, with further communique through phone or e-mail, as needed. If you are local, you are also welcome to make a personal appointment. RESULTS! On average, our resumes get exorbitantly more interviews than the norm—in fact, they help position job candidates in the top 2 percent in their area of expertise!